Delivery information, including proof of delivery, tracking numbers, etc. After a 210 Motor Carrier Freight Details and Invoice is received, a 997 Functional Acknowledgment is sent back from the transportation provider to indicate that the 210 transaction was successfully received. Want to map and integrate 210 invoice data seamlessly into your back-end business system? 1 EDI Source can help. 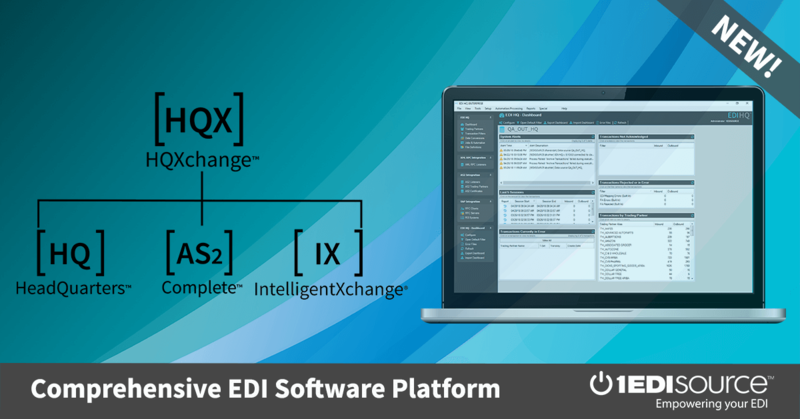 Our advanced EDI software, EDI/HQ™, is fully compatible with most ERP, business and accounting software applications. Plus the real-time mapping feature makes it all easy. Contact us for a demo. This X12 Transaction Set contains the format and establishes the data contents of the Motor Carrier Freight Details and Invoice Transaction Set (210) for use within the context of an Electronic Data Interchange (EDI) environment. The transaction set can be used to provide detailed information for charges for services rendered by a motor carrier. It is used both as a motor carrier invoice to request payment or as information details pertaining to motor freight shipment(s) charges.